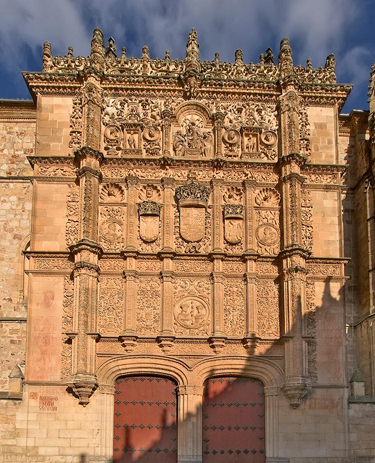 The Universidad de Salamanca, founded in 1218 is the oldest university inSpain and one of the oldest in all of Europe. Since 1929 the Universidad de Salamanca has been pioneering and researching the development of Spanish as a Second Language. Currently it is one of most prestigious institutions in the teaching of Spanish as a Foreign Language, teacher training courses, and in the elaboration of didactic materials and linguistic assessment. Spanish Language and Culture Courses I & II are organized in five levels of linguistic proficiency; novice, intermediate, advanced, upper level 2 and upper level 1. The beginning levels are perfect for adults who have a desire to commence their study of Spanish. The intermediate levels meet the needs of adults returning to their study or who are looking for an immersion experience to compliment their current study of Spanish at home. The advanced levels are perfect for graduate students, native speakers and educators seeking to perfect their linguistic skills. 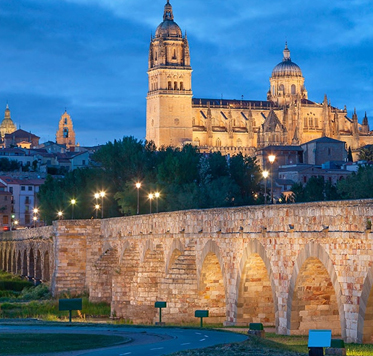 Experience the culture Salamanca, a truly wonderful city with and authentic Spanish flavor. In 2002 Salamanca was voted the “Cultural Capital of Europe.” Located just one hour from Portugal and two hours from Madrid, history is found in every inch of the city. Your strategic location puts you within walking distance of virtually everything in the city. After class there are a wide variety of musical, artistic, cultural and physical activities available. Weekend and day excursions are available at a nominal fees. You will be assisted in making all necessary arrangements. A wide variety of program and activities are available for family and friends. Bilingual Day Camp for students ages 4-12 provides cultural and physical activities from 9-2:00 daily. Extended hours are available. Prices start at $200 per week. YMCA Camp for older students is full immersion in Spanish. Serious Spanish, a program for teens who are interested in studying Spanish language with students from other countries is available throughout the summer. Ms. Priceman will work with you and your teen to devise a wonderful educational experience to fit your schedule. Assistance with activity planning and living arrangements is available upon reques.